On a working visit to Switzerland, Prime Minister Nikol Pashinyan today met with a group of business people in Zurich to discuss ways and prospects for implementing investment programs in Armenia. At the meeting with Swiss-Armenian Chamber of Commerce President Mike Baronian Nikol Pashinyan discussed investment programs in pharmaceutical industry. Mike Baronian advised that their Yerevan-based company is currently engaged in the processing of raw materials in a bid to produce and export medicines in Armenia. About USD 10 million will be invested over the next five years to result in several high-paid jobs. Mike Baronian talked about other investment projects related to the production of energy through the use of advanced technologies and copper recycling. Swiss businessman Hans Schweigard came up with a major investment project for solar energy production. Welcoming the businessman’s initiative, Nikol Pashinyan outlined his government’s strategy in the energy sector and the prospects for developing this sphere. The head of the Armenian government suggested discussing all relevant issues with the Ministry of Energy Infrastructures and Natural Resources to implement it efficiently, reports the Office of the Prime Minister of Armenia. Pashinyan also met with a group of business people from Franck Muller Group, led by Swiss-Armenian businessman and philanthropist Vartan Sirmakes. Issues related to the implementation of a number of investment projects in the fields of agriculture, food industry, construction, banking, jewelry, watch-making and vocational education were discussed during the meeting. The Prime Minister assured of his government’s willingness to support the proposed investment programs within the framework of existing instruments. 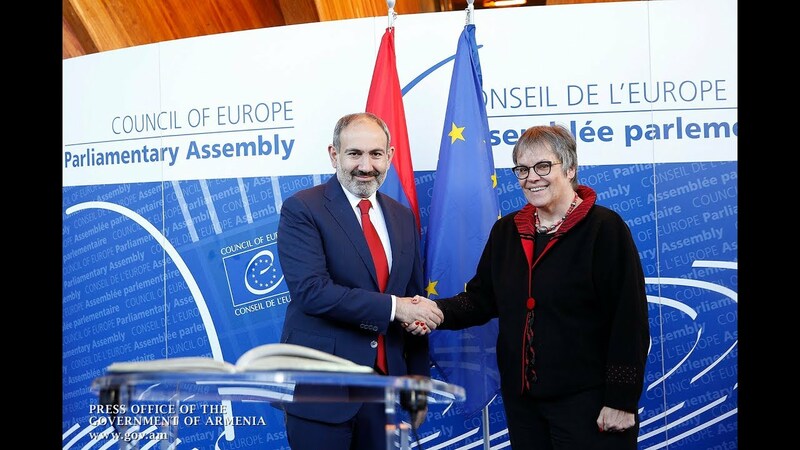 Nikol Pashinyan said the steps aimed at improving the business environment will be continued as Government of Armenia is eager to attract new job-extensive investments into the country. Nikol Pashinyan took the opportunity to discuss the implementation of Old Yerevan project Vartan Sirmakes. The Head of Government stressed the need for safeguarding historical and cultural monuments and caring for such buildings.